Experts claim that 60% of the taste of whisky comes from the cask in which the spirit has matured. These casks are made from oak. Why oak? 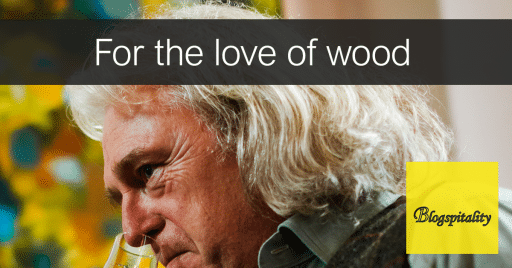 The reason for this is because of the wood’s specific characteristics. Oak wood is very strong and firm but is still capable to bend into shape when heated, miraculously without breaking or bursting. Furthermore, oak wood is porous, which makes that the whisky can breathe during maturation. Oxidation plays a very important part in the development of flavours and aromas when the whisky is still dormant in its wooden container. Most casks used in the Scottish whisky industry are either made from Quercus Alba (American white oak) or Quercus Robur (European red oak). 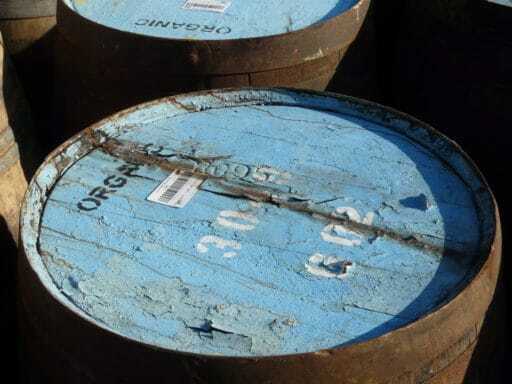 They previously contained bourbon or sherry before set to new use in Scotland. 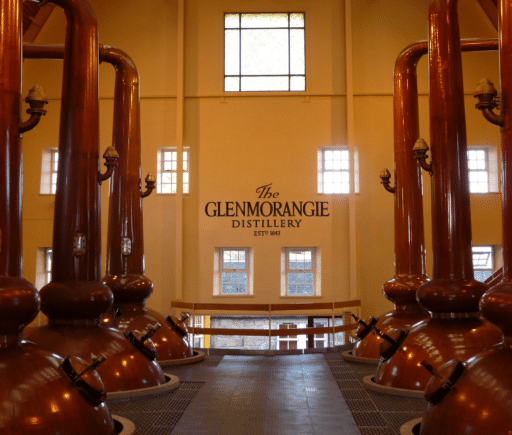 Glenmorangie has a preference for ex-bourbon casks but has taken maturation a few steps further since the mid 1990s and is considered a pioneer in the field of ‘extra maturation’. The ‘standard’ Glenmorangie The Original, has matured for 10 years in an ex-bourbon barrel. The result of this is a beautiful and gentle dram with notes of citrus fruit, vanilla and crème brûlée, which is characteristic for ex-bourbon wood. This outstanding single malt has a few interesting siblings. The Lasanta enjoyed two extra years in an ex-sherry cask, adding notes of dried fruit; the Nectar d’Or in an ex-Sauternes cask, adding extra sweetness and smoothness and the Quinta Ruban in an ex-port pipe. The latter one has a red hue and gentle notes of wine, which makes it a perfect after dinner drink, for instance with a cheese platter. In his master classes author and whisky expert Hans Offringa often uses these four single malts to demonstrate to the participants what different casks can do with a whisky that was distilled in one and the same distillery.